At 8:30 pm on March 30th darkness will fall on the planet. An hour without electricity to celebrate the energy of the Earth. Earth Hour began as a “lights-off’ initiative in Sydney, Australia in 2007. It has since become a worldwide movement organized by the Worldwide Fund for Nature (WWF) to turn off non-essential electric light for one hour (8:30-9:30 pm) as a symbol of commitment to the planet. Earth Hour grown into the world’s largest grassroots movement for the environment, engaging individuals, communities, governments, businesses and organizations in more than 180 countries and territories to raise awareness for energy consumption and effects on the environment. While climate change has been, and remains the focus for this initiative, emphasis is being placed on the accelerating loss of nature and the threats this poses to us all through a campaign called #Connect2Earth. This global campaign is designed to help spread the message that nature matters; it is part of our lives and without the natural environment we wouldn’t thrive; from the air we breathe to the water we drink. Connect to Earth is addressing the dual challenge facing the planet – climate change and the loss of nature. Taking part in this initiative is as simple as flicking a switch, which is what you and your family can do in solidarity on March 30th. 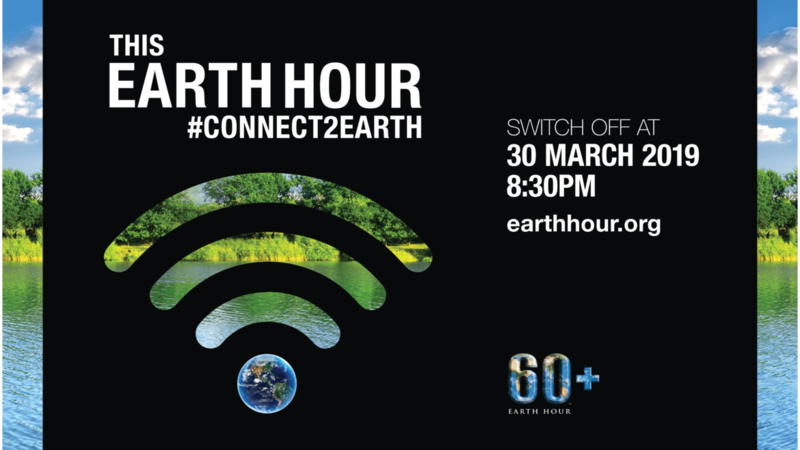 On March 30th switch-off in solidarity from 8:30-9:30pm to connect to the earth and help change the planet for the better!